As the cost of water continues to rise, the issue of water loss is becoming an increasingly pressing issue for commercial and industrial facilities. To minimize water loss, many facilities are employing metering technology to help quickly identify and address leaks. 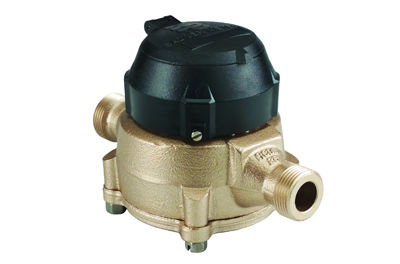 There is a wide range of metering technologies available for such applications. Here we’ll address the pros and cons of metering technologies commonly employed for water measurement and monitoring. Fluid enters one side of the meter and is routed through the meter until it exits on the other side. Movement of fluid may be conducted by nutating disc, gear or piston. These meters operate similar to how people enter a building through a revolving door — with the people being the water and the revolving door being the meter. 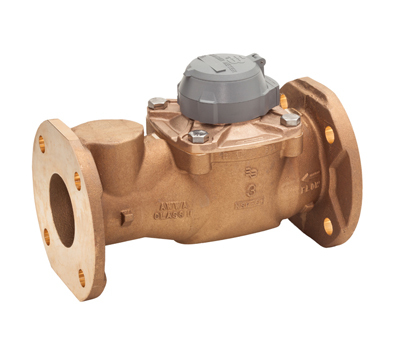 These meters provide a highly accurate and cost-effective solution for clean water metering. The most common use of disc meters is utility water metering at residential or commercial properties, but they are also used in many other water metering applications for commercial or industrial purposes. Nutating disc meters offer solid accuracy and a low price point for water metering applications. All images courtesy of Badger Meter. A turbine rotor is set in the path of a fluid stream. The flow of the fluid causes the rotor to turn. This is similar to how a child’s pinwheel freely spins in the wind — with the air being the water and pinwheel being the meter. Although turbine meters come in many different sizes and varieties, in water measurement applications, turbine meters are ideal for high flow ranges, upwards of 8,000 gallons per minute. 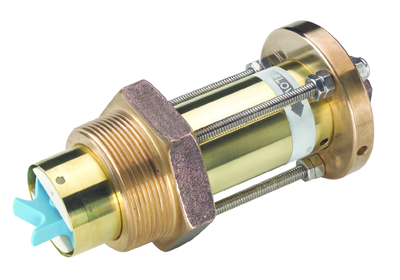 They are often used in larger facilities or clean water metering in heavy-use applications. Turbine flow meters offer low total cost of ownership, good low flow support, and high resolution for water metering applications. An impeller is set in the path of the fluid stream and flowing of the fluid causes the impeller to turn. As the liquid flows through a pipe, impeller blades spin, similar to how a watermill spins, past the detector, which generates an output signal proportional to the rate of flow. Impeller meters are available in both insertion and in-line configurations. Because of their simple design and relatively low cost, impeller meters are often used in non-critical water metering applications, such as landscape irrigation and rainwater recycling. Impeller flow meters offer a higher tolerance to pipeline debris than turbine flowmeters. Two opposing electrodes are positioned internally at three and nine o’clock. As the fluid moves through the magnetic field, a voltage is induced across the electrodes. The average velocity of the fluid is proportional to the induced voltage measured by the electrodes. Electromagnetic flow meters, often referred to as “mag” meters, offer high accuracy measurement even in challenging fluid conditions. Because of their open-pipe, non-intrusive design, mag meters can handle dirty water containing a moderate amount of solids or debris. Electromagnetic flow meters offer a non-intrusive, low-maintenance option for water metering applications. Acoustic waves are injected into the pipe. Depending upon the method used, the sound will either be reflected off of the pipe wall (transit time), or off of suspended particulates (Doppler). The flow rate is calculated based on differential time. Ultrasonic meters are available in in-line and clamp-on configurations. Clamp-on meters offer easy installation and portability ideal for flow verification or troubleshooting without having to break into a pipe. 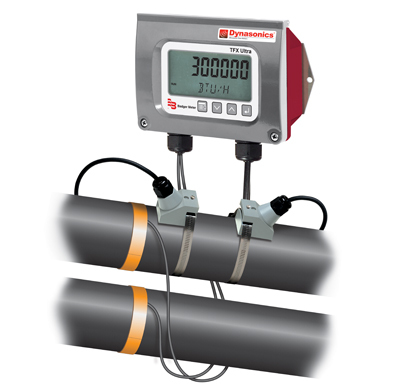 Some ultrasonic meters integrate metering components with flow and temperature sensors to measure Btu energy costs in applications such as hydronic chilled and hot water. Ultrasonic flow meters are able to provide accurate flow measurement regardless of fluid properties. Clamp-on ultrasonic flow meters are easy to install and their portability make them an ideal fit for flow verification or troubleshooting without having to cut into the pipe. Requires proper installation on clean pipe surfaces. Fast, easy access to powerful water-use information is imperative for organizations of all sizes. In fact, increasing government regulations, natural resource scarcity, emerging environmental concerns and growing cultural awareness make it essential. Sub-metering throughout a facility, property, or campus empowers everyone from management to operations staff to make more knowledgable decisions for more efficient use of valuable water resources. AquaCUE is a software by Badger Meter that leverages cellular network infrastructure to gather data from flow measurement devices and deliver a simple yet powerful dashboard solution for optimizing the use of water throughout a facility. 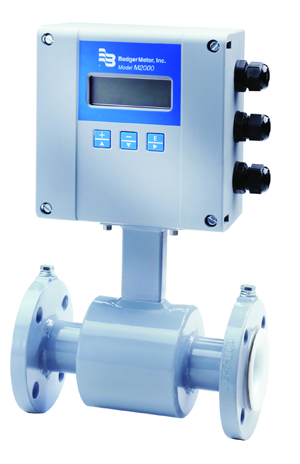 Flow measurement software, such as AquaCUE® from Badger Meter, connects your meter reading data to powerful analytics. 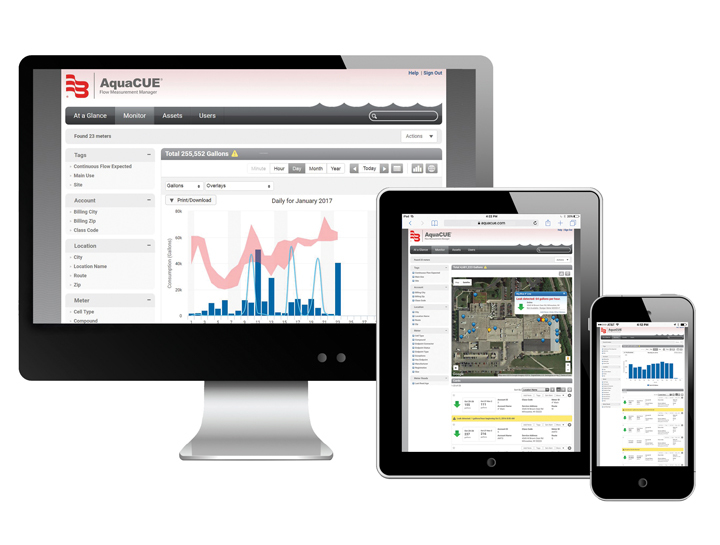 AquaCUE® combines an intuitive software suite with proven flow measurement technology and leverages cellular network infrastructure to deliver a simple yet powerful dashboard solution for optimizing the use of water throughout a facility, including domestic hot and cold water, irrigation systems, recreational use, tenant sub-metering, HVAC systems, and more. 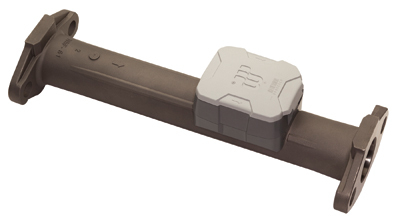 With smart flow measurement, comes smart flow management. For more information on the AquaCUE® solution, click here. Rob Fehl is a product manager at Badger Meter, where began his career in 1991. 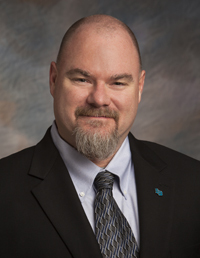 He currently focuses on commercial and industrial solutions within the HVAC and Sustainability markets. He earned an associate’s degree in mechanical design from Waukesha County Technical College, as well as business and engineering training from the University of Wisconsin-Milwaukee and the Milwaukee School of Engineering.